The state of Pennsylvania has unparalleled history, with many places to visit to learn about local heritage or participate in fun activities, and residents and visitors alike enjoy the scenic mountains, bustling cities, and quaint rural towns. Pennsylvania is known as one of America’s first 13 colonies and is home to industrious cities like Philadelphia and Pittsburgh. Only hours from New York City and the Great Lakes, Pennsylvania also has a strong Amish presence; in these areas, tourists can experience a simpler way of life and enjoy delicious homemade treats. Pennsylvania residents and their pets run and play during the mild summers, take walks through breathtaking autumn foliage, and play in the snow during the long, cold winters. When residents raise their dogs with tools such as training programs taught by certified trainers or an underground fence, PA pet owners can spend quality time with their companions free from stress and worry. Our dogs, which are beloved members of our families, can sometimes fall victim to unfortunate circumstances, and we, as owners, should do whatever we can to prevent them. Many dogs have been injured in preventable accidents, such as being struck by an oncoming vehicle. One of a dog’s favorite activities, sniffing around at Pennsylvania’s many scents, has led many dogs to become lost. It’s not uncommon for dogs, while exploring and playing in their own yard, to be attacked by either a stray or passing dog or even a malicious passer-by. A worst-case scenario would be something that would result in the death of your four-legged companion. Each of these unpleasant and deeply troubling scenarios are preventable. A key component to raising your dog, whether you purchase a puppy from one of many retail pet stores or private breeders throughout the state of Pennsylvania or find and rescue an adult dog in need of a great home, is developing a strategy to raise your dog and meet its individual needs that will also prevent your dog from getting into common accidents. Many of us already provide our dogs with the necessities that promote basic health. Nutritious food, toys for exercise, special chews for dental health, and an outdoor shelter for dogs that spend much time outdoors are examples of things your dog needs to have a happy, healthy life at home. However, a tool that would keep your dog safely contained on your property and eliminate many of the risks we worry about would provide many dog owners with peace of mind. With an electric dog fence, Pennsylvania residents can get relief from worrying about all the things that could harm their dogs. A wireless dog fence is also an important tool because you can implement it into your dog’s training. Get peace of mind with an electric dog fence: Pennsylvania offers no better wireless pet fence than this one, which is easy to use and offers customization for your dog and its individual temperament and training history. Pennsylvania offers training resources that are useful and help train your dog to be safe and well-behaved so it can live a long, happy life. Additionally, there are many different types of training courses offered by professional, certified trainers in Pennsylvania. You can enroll your dog in private training for one-on-one instruction, group training that also teaches your dog how to interact with other dogs and people, and some types of specialty training. Not only do these training courses provide your dog with good manners and help them learn orders and commands, but they can work in conjunction with your wireless dog fence for a more comprehensive training strategy. Using our wireless hidden fence, PA dog owners can separate their yard into separate zones. Owners can either allow their dog access to an entire yard or restrict the dog’s access to a certain zone, perhaps an area where owners prefer their pets to relieve themselves. Innovative and flexible, this hidden fence PA homeowners can buy stays out of sight and allows your dog the freedom and safety to roam around the yard without a fence that can be unsightly. 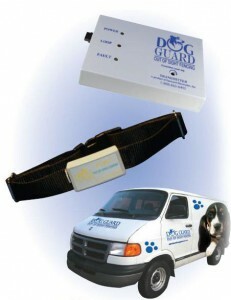 Pennsylvania residents should buy this important tool from Dog Guard today to ensure a happy, healthy, and safe life for their dogs.